Ramchand Pakistani’ is derived from a true story concerning the accidental crossing of the Pakistan-Indian border during a period (June 2002) of extreme, war-like tension between the two countries by two members of a Pakistani Hindu family belonging to the ‘untouchable’ (Dalit) caste, and the extraordinary consequences of this unintended action upon the lives of a woman, a man, and their son. 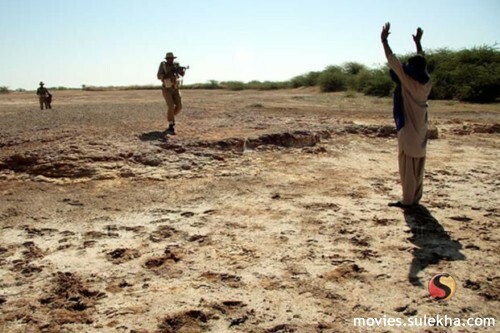 The singular theme of the film is how a child from Pakistan aged eight years learns to cope with the trauma of forced separation from his mother while being held prisoner, along with his father in the jail of a country i.e. India, which is hostile to his own, while on the other side of the border, the wife-mother, devastated by their sudden disappearance builds a new chapter of her life, by her solitary struggle for sheer survival. The film portrays the lives of a family that is at the bottom of a discriminatory religious ladder and an insensitive social system, which is nevertheless tolerant, inclusive and pluralist. The irony is compounded by the fact that such a family becomes hostage to the acrimonious political relationship between two neighbor-states poised on the brink of war. This is possibly the first film post-1971 (after the loss of East Pakistan) in which the central characters of a Pakistani film are Pakistani Hindus. In a country where 97% of the people are Muslims, Hindus constitute only about 1.5% of the non-Muslim population. 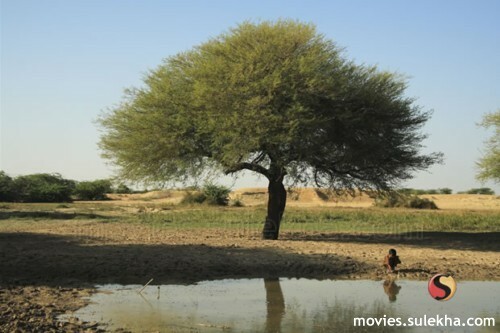 The film is a human interest story set in South Asia but with universal appeal about a family that is at the bottom of social, religious and economic hierarchies, both by virtue of being non-Muslims in a predominantly Muslim society, and by being from the “untouchable” Dalit (Kohli) caste in the Hindu faith. Yet, the film’s theme and story promote secular, non-sectarian values. This is also a story of a woman’s struggle for emotional security and survival in the face of great adversity — and a child’s coming of age well before time. Belonging to one of the lowest castes in Hinduism (one of the “untouchables”), the family is also part of a small minority of Hindus in a country, which is the Islamic Republic of Pakistan, in which 97% of the people are Muslims. The boy and his father are held captive in India where, in contrast to Pakistan, the overwhelming majority of about 80% comprises of Hindus. This is the first full-length feature film for cinema directed by a young Pakistani woman director, Mehreen Jabbar. Her work reflects a deep concern for the individual identity, rights and empowerment of women. Nandita Das has convincingly played a lead role in the film as a Pakistani Hindu woman. One of India’s leading music directors, Debajyoti Mishra, has composed the background music and 4 background songs, 3 of which also feature the voice of one of the leading Indian woman singers, Ms Shubha Mudgal. A widely-acknowledged Indian film editor, Aseem Sinha has also co-edited the film with the Director.